A short story collection from the author of the novels Paris, He Said and Little Known Facts, and the story collection Portraits of a Few of the People I've Made Cry. Christine Sneed is, simply, the queen of endings. The last page of nearly every one of these stories screams out to the reader, 'Read me again, over and over' ... Sneed not only excels at endings, she creates fascinating beginnings and middles, as well. She presents characters who comprise a dazzling range of age, class, gender, and circumstance ... Yet for all these glimpses into dark corners of human life, Sneed’s stories also emit light. She crafts nuanced portraits of all sorts of people who never give up struggling to make sense of what they’re experiencing ... a stunning collection. Sneed’s strength is her characters; we often find them in the middle of a choice. It feels refreshing. These are not the aimless, wondering, interior characters we dread in short fiction ... a delicious brew of insecurity, comparison, and exposure ... [Sneed] punctures through the typical L.A. first layer to reveal a much closer and authentic depiction outsiders rarely comprehend ... The landings at the ends of a few of Sneed’s stories don’t hit the mark...Still, those are the minority in Sneed’s collection. Snared by each of the collection’s ­tragic, comic, quirky and/or quotidian lives the reader tears through page after page and by the end feels not only bereft but ravenous, hungry for more. While it may be a classic sign of a story well told, that yearning also arises from the sense of irresolution that permeates Sneed’s fiercely meditative and unnerving short fiction ... Sneed never settles many of the questions that arise throughout the collection. Paradoxically, however, this uncertainty only serves to highlight the engaging power of her writing. 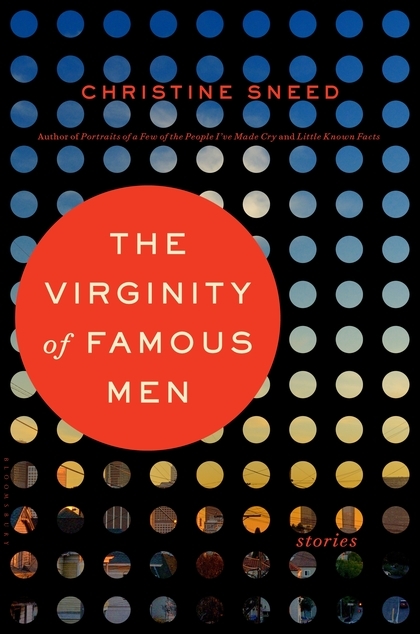 What did you think of The Virginity of Famous Men?